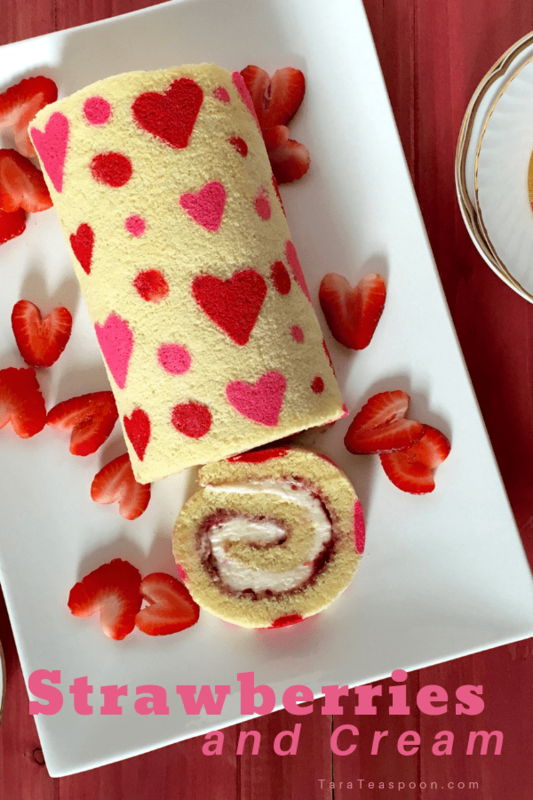 Love is all around, and around with this Valentine’s Day Strawberry Cake Roll. Filled with strawberry jam and fluffy, sweet cream cheese, it’s the way to everyone’s heart. I recreated my Pumpkin Cake Roll with Toffee Cream Cheese Filling for another holiday! 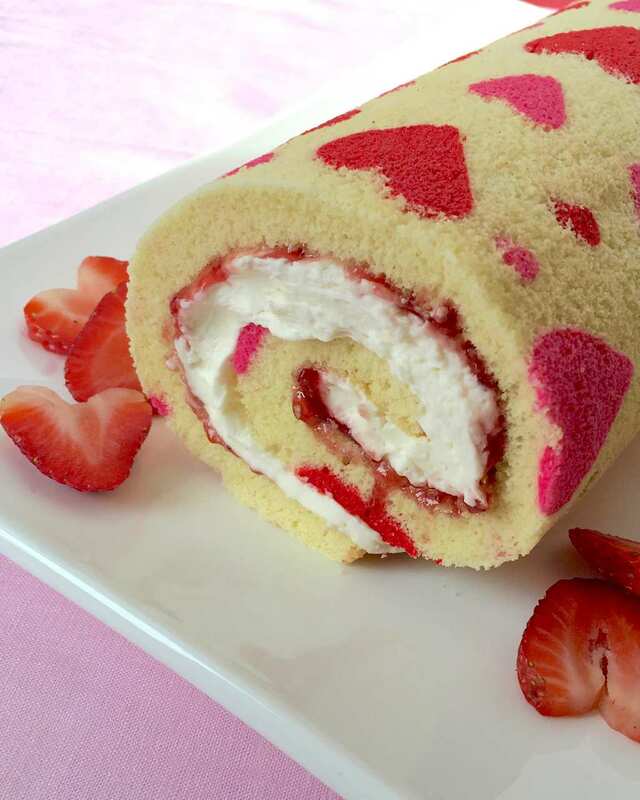 That cake roll is one of the most popular recipes on my site, and I think it warrants a pink variation! With strawberries and cream in mind I set out to make a Valentine’s cake. 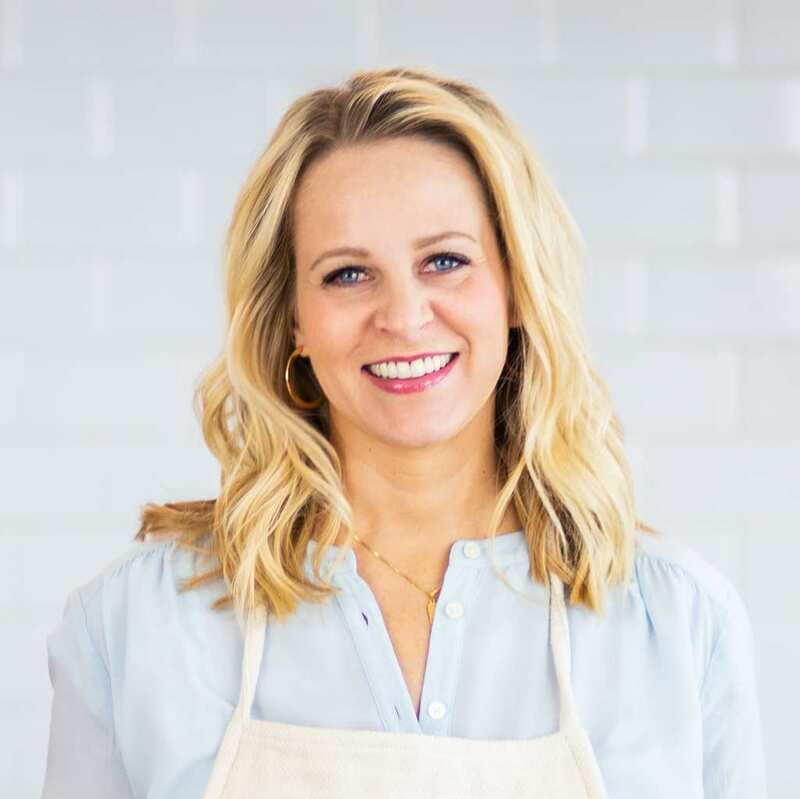 My recipe originally appeared on KSL.com. This post may include affiliate links. For more information please see my disclosure agreement. 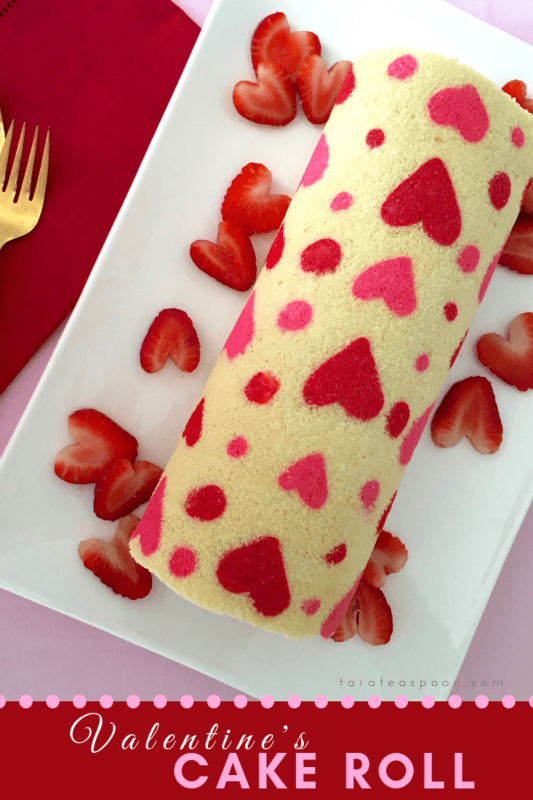 I started my Valentine’s Day Strawberry Cake Roll with a génoise cake. A style of cake that is light and airy, so it compliments a rich filling, and bonus, it is flexible. Not like doing-the-splits flexible, but close. If a regular cake is bent or rolled, it cracks. As with typical American cakes, there is an excess of butter, and butter makes cakes tender and rich, and quite delicious, but the texture is, well, less flexible. Génoise originated in Italy and is used in French pastry shops. It is a light, eggy cake that is perfect for layering and for cake rolls. It’s traditionally brushed with a soaking, or simple syrup or layered with jam to add moisture and flavor. I opted for jam in my Valentine’s cake, with a rich filling made from cream cheese and heavy cream. A classic génoise is the perfect cake for rolling. But is it flexible enough to do the splits? Classic génoise recipes call for heating the eggs and sugar, but this is tedious, and I wanted an easier, make-at-home kind of method. I opted to beat the eggs like crazy and add the sugar slowly while the eggs whip, so the sugar dissolves as it mixes, without deflating the mixture. There’s no chemical leavening (like baking powder or baking soda) in this cake. So whipping the eggs and using a light touch when mixing in the flour is key. The air built in to the eggs as they whip will act as the leavening. What do you use for the cake designs? I didn’t use the actual cake batter for the heart designs, because the actual cake needs to be baked right after mixing. So I created a little, mini, cake batter recipe for the pink and red hearts. You can pipe it onto the pan and freeze it solid while you make the génoise. Use a Jelly Roll Pan! I used a jelly roll pan to get just the right size for a cake roll. Jelly roll pans are slightly smaller than a typical rimmed baking sheet (often called a half-sheet pan and are about 13-by-17-inches). The jelly roll pans measure 10-by-15 inches like this one I used from Oxo. 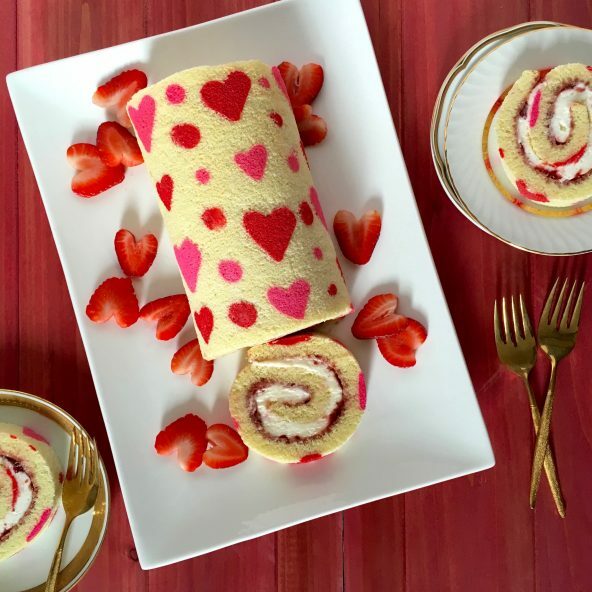 How do I get the pink and red hearts on the outside of this Valentine’s cake roll? 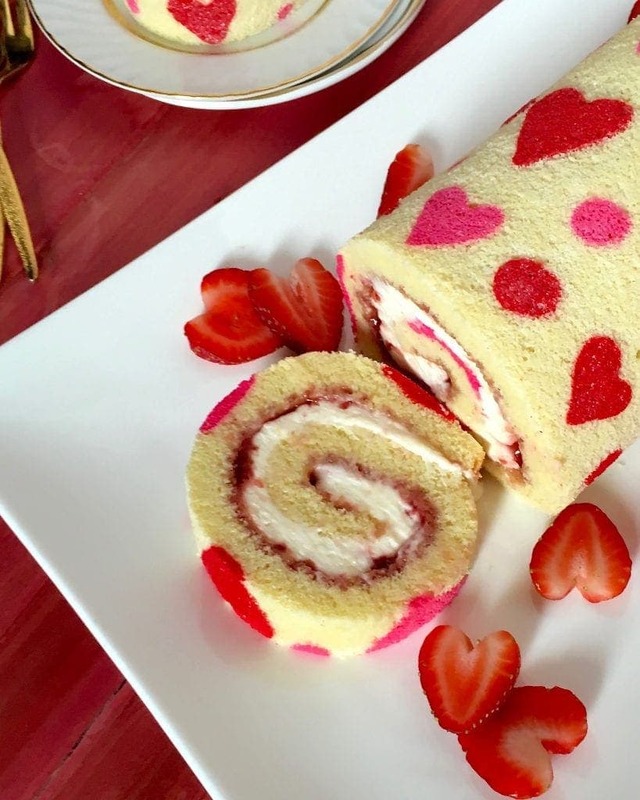 One thing that is different with this Valentine’s cake roll is that because the heart design is on the bottom when baked, you need to do an extra flip once the cake is out of the oven. Usually you simply turn the cake out and roll. Here I used two clean kitchen towels to do this, turning the cake out of the pan, pulling off the parchment, then laying another towel on top and flipping over. Then simply roll the cake up in that towel to let it cool in the shape of a spiral. The jam and filling comes next, and then I let the cake chill and set up for a spell. I serve mine with fresh strawberries. Love is all around with hearts and strawberries and fluffy cream cheese rolled into a light almond cake. 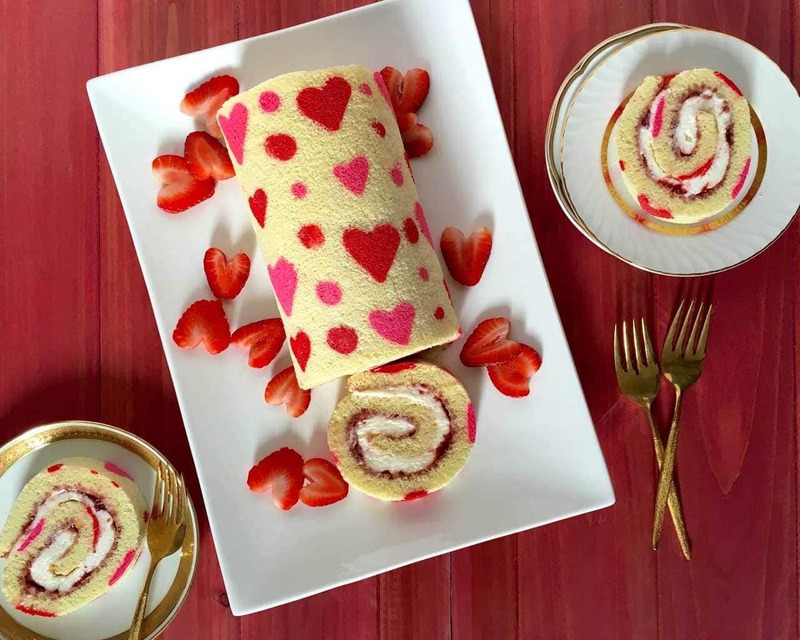 I've created a twist on the classic jelly roll that is a Valentine's dessert as sweet as those you love. Line the bottom of a jelly roll pan (10-by-15 inches) with parchment. To make the heart pattern batter: with an electric mixer, whip egg white and sugar until soft peaks form. Mix in oil and then fold in flour by hand. Divide batter in half and color half red and half pink with food coloring. Place each color in a small ziptop bag and snip a small hole in one corner. Pipe hearts, dots and designs onto parchment and freeze the pan 20 to 30 minutes. To make cake batter: heat oven to 350º F. With an electric mixer or in a stand mixer, whip eggs and salt until very light and fluffy, 10 minutes with a hand mixer, six minutes in a stand mixer. Gradually add the sugar while mixer is going and then beat another four to five minutes. In a small bowl, stir about ½ cup of the egg mixture into the melted butter with the almond extract. Then stir butter mixture back into the mixing bowl to combine with the rest of the fluffy egg. Stir the flour into the batter until just combined. Immediately removed pan from the freezer and gently spread cake batter over the frozen heart designs. Bake until cake is light golden brown and is just firm to the touch, about 20 minutes. 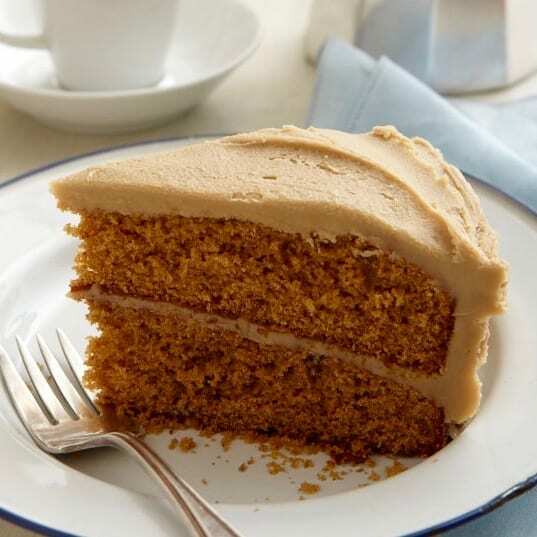 While cake bakes, prepare a clean dish towel by lightly dusting it with confectioners’ sugar. Have a second clean towel on hand. When cake is done, let sit in pan about one minute and then run a knife around the edges to gently loosen. Turn cake onto prepared towel. 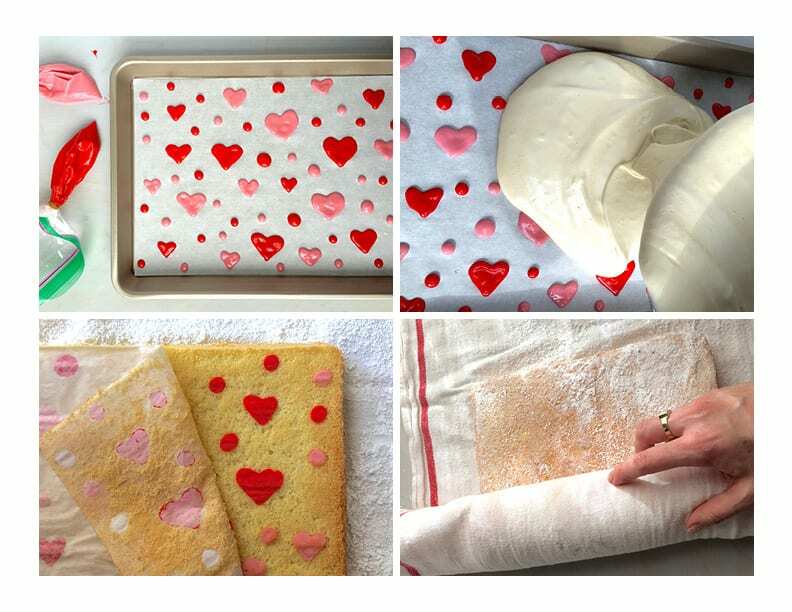 Remove parchment and lay second towel over the top of the heart designs. Carefully flip cake over in the towels. Remove the towel from the plain side of the cake, then roll the warm cake inside the second towel from one short end to the other. The heart designs should be facing outward. Let cake roll cool for about 20 minutes. 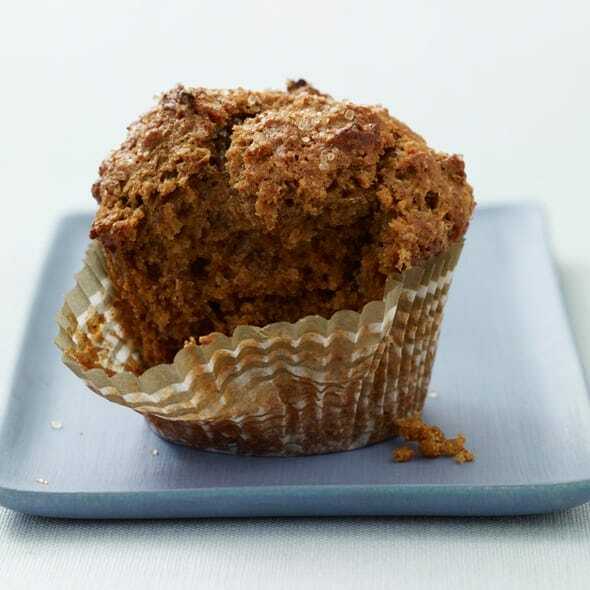 To make the filling: Beat cream cheese and confectioners’ sugar until very smooth. Add heavy cream and almond extract and whip until mixture if fluffy and stiff, about two minutes. Unroll cake and spread the plain inside surface with a thin layer of strawberry jam. Gently spread cream cheese filling over the jam, it will be about 1/4–inch thick. Roll cake back up over filling. Wrap cake roll in the towel and refrigerate two hours or overnight. Trim ends and serve on a platter with strawberry slices as garnish if desired. 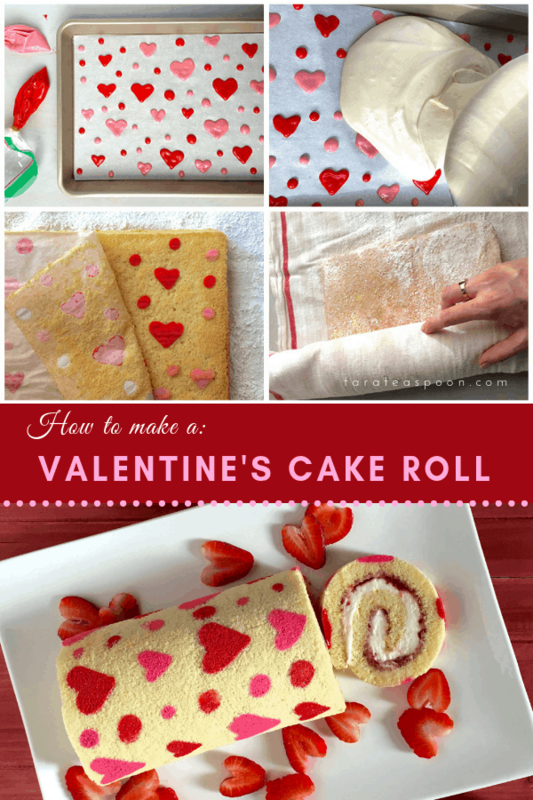 One thing that is different with this Valentine's cake roll is that because the heart design is on the bottom when baked, you need to do an extra flip once the cake is out of the oven. Usually you simply turn the cake out and roll. Here I used two clean kitchen towels to do this, turning the cake out of the pan, pulling off the parchment, then laying another towel on top and flipping over. Then simply roll the cake up in that towel to let it cool in the shape of a spiral. Prepare yourself to get a lot of love after serving this cake. It’s kind of a big hit. And happy Valentine’s Day to you and yours. 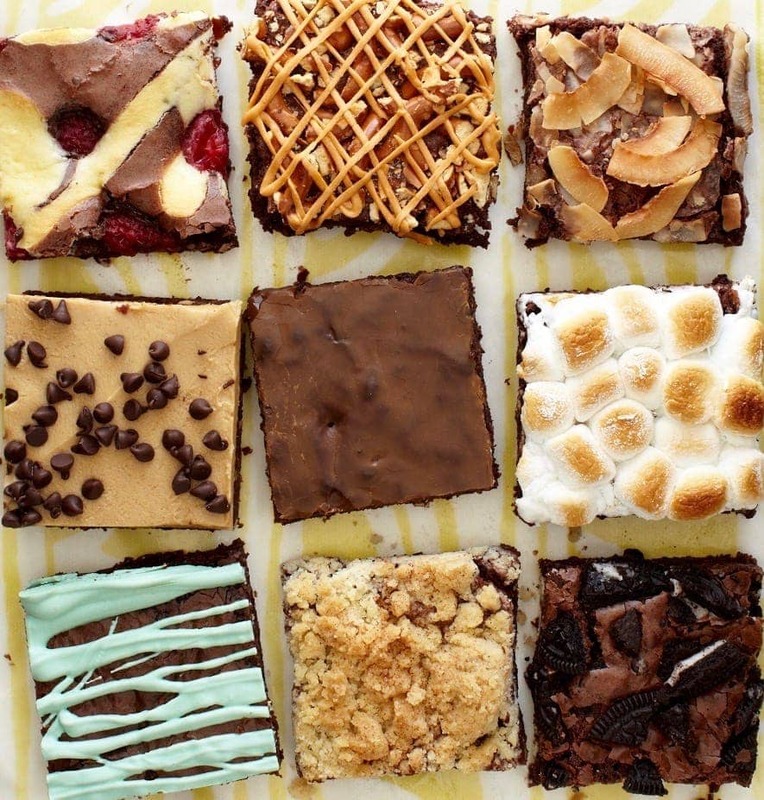 Get more love when you make my other tasty recipes like Pistachio Chocolate Bark and Peanut Butter Brownie Cake. I also love these romantic recipes from around the web: Devil’s Food Cake, White Chocolate Raspberry Rolls. 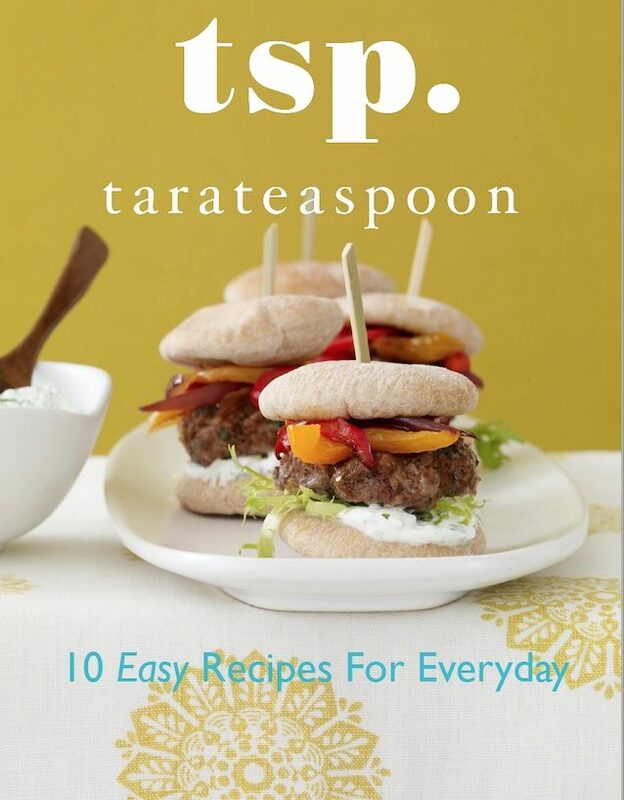 That looks superb, what a great job and the most interesting valentines recipe I have seen in a while! strawberry cakes are kinda dreamy, i agree! This is so adorable! What a romantic idea! I just saw another roll cake and commented on it. I love this one too. It’s so cute for Valentine’s day! I love that they are a “thing” now! I grew up with cake rolls! I love a light airy cake like this. And strawberry at that? YUM! I’m not patient enough to make the heart designs, but the flavors sound amazing. Light and fresh! Ah nice! Well it tastes delish with or without hearts!! Beautiful AND delicious! Happy Valentine’s Day! I’ve made this twice now, one strawberry and one blackberry, and both times they’ve been huge hits! I’m a serious Fail Baker, but this was too easy to mess up! Simple but elegant and amazing! Hi, I’ve been looking at making this recipe for Valentine’s Day. I make pumpkin rolls around Thanksgiving and Christmas but want to try something new. I noticed that in the cake ingredients it says “flour” but doesn’t specify which type of flour. Hi! Thanks for noticing. It’s all-purpose flour, so I just edited the recipe to reflect that! I hope you love it as much as I do. It’s a fun one and I love the filling!